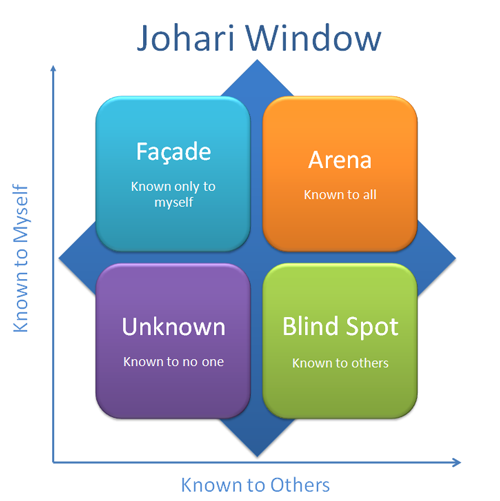 The Johari Window was developed by American Psychologists Joseph Luft and Harry Ingham in 1955… have a guess at how the word ‘Johari’ came about! Let’s have a look at how it works. I only want anybody with the knowledge to help me understand importance of johari’s window in interpersonal communication by use of illustrations. thank you for this, it really opened my eyes and now i try to be confident as much as i can. ill use these tips. Thank you! Good Work. Quick question from a young school kid: If I wanted to use the Johari Window in a powerpoint presentation at school, would I have to reference it? Or can anyone use it without referencing it? If I put this in a presentation would I have to reference it? Or can it just be used by anyone? It’s always best to reference your sources, particularly if you are using images or taking ideas or concepts from someones work. For example, in this post I reference: “developed by American Psychologists Joseph Luft and Harry Ingham in 1955”. So if you were to use the image for example or any of the ideas I present here, you could reference this post. Please keep up the cool site! I hope will keep reading your excellent posts , and for sure will try to follow you in social media. p.s. Have you started working as a coach ??? if yes , how can I get coaching session with you ??!! yes johari window its realy nice but l have a ploblem which needs your help. How can johari window assist someone who is a nurse intems of behaviour? Have you any ideas on how we can ask others for feedback. Honest and critical feedback too as others are often simply vague and positive!